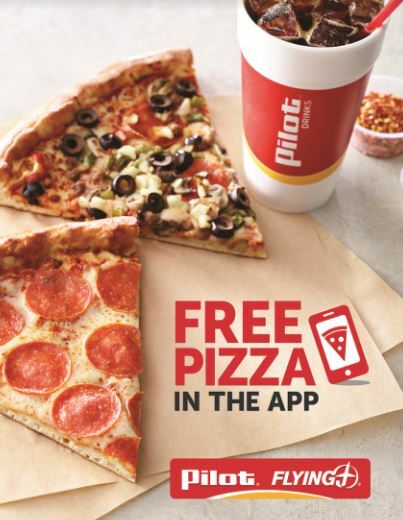 Get a free slice of pizzeria-quality pies starting Sunday, February 3rd and thru Sunday, February 10th through the Pilot Flying J app. That gives you plenty of time to stop in for your free pizza! Download (or open) the app within these dates to find an exclusive offer waiting to be redeemed at the more than 300 Pilot and Flying J Travel Centers serving PJ Fresh Pizza. First-time users receive an additional free drink of their choice when downloading the app. Made with 100 percent real mozzarella cheese and a wide variety of toppings, all PJ Fresh Pizzas are baked fresh and available in an assortment of recipes, so there’s something for every pizza lover. This offer even includes the limited-time offer Mega Meatball flavor!